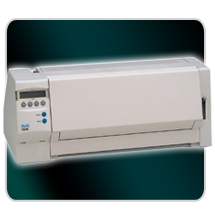 You may have thought dot matrix printers had had their day. Not so. 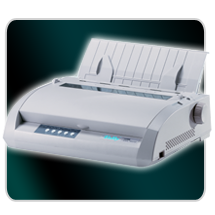 In fact a growing number of organisations are returning to dot matrix printers, largely because of the cost benefits as well as robustness and reliability. 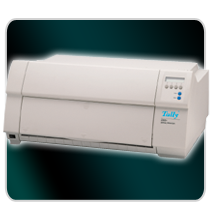 DASCOM’s range of Tally dot matrix printers are well matched with Microsoft Windows* applications, and highly compatible with other host operation environments including legacy systems such as Unix*, IBM* Mainframe and AS400 (iSeries*), SAP* and even the many MS-DOS* applications still being used. 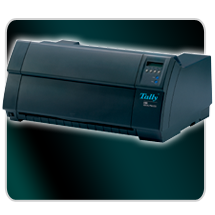 Tally dot matrix printers are reliable all-purpose, making them the perfect choice when printing large amounts of data with carbon copies quickly and reliably. 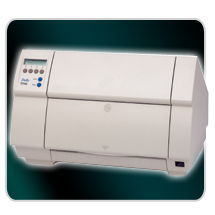 If you want long life and high quality you can depend on whilst maintaining a low cost per page, our serial Tally dot matrix printers are the right choice. up to 900 or 1000 char./sec. up to 840 or 1000 char./sec. 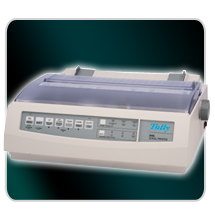 The Tally LA series dot matrix printers were specially developed for the Digital/Compaq VAX/VMS/Open VMS environment, and have DEC ANSI emulation to ensure easy integration. 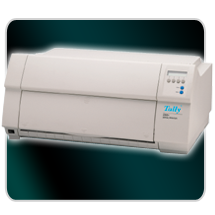 With a total of six different models, there is a great selection, whatever your requirements. 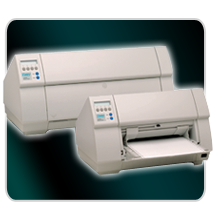 Thanks to the two-line LCD display, all settings can be quickly and simply adjusted, and not only locally; network printers can be centrally administered using the DASCOM web interface.